Discussion in 'iPhone and iPad Games' started by callanh, Dec 1, 2015. 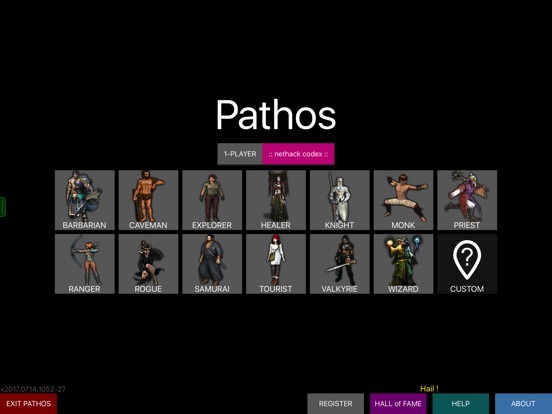 Pathos is a roguelike adventure game based on the rule set from Nethack. The game engine was built from scratch for touch screen devices. 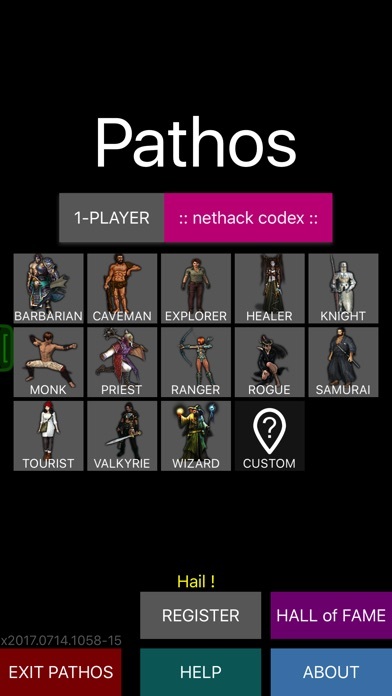 Pathos captures the essence of Nethack while being quick and fun to play. The Wizard discovers a Treasure Zoo! I just wish it did not require 9.1.. Apologies, I must have made a mistake in the build process as it should work on 7.0+. Unfortunately, it will be at least a week before Apple reviews and publishes the next build. Nice, I really can't wait to start playing this. The searching button makes the character look like he is abusing himself. It makes me laugh. That aside, this game is really enjoyable. 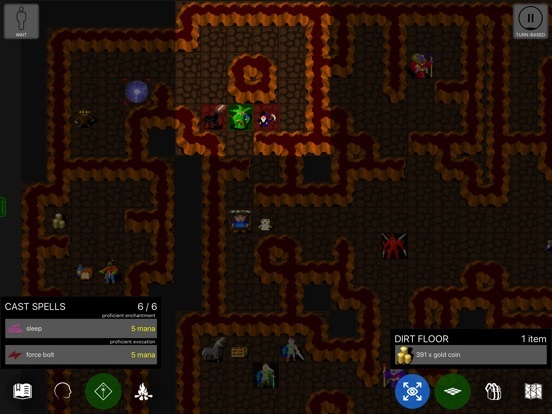 This might be my favorite roguelike on the platform. 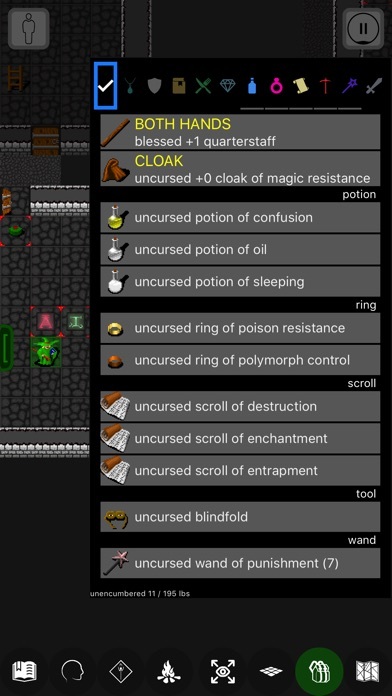 It's certainly my favorite Nethack implementation. I do wish it'd remember my zoom setting and preserve it. It resets on level changes and it's a little too tight for me. I'd also prefer the viewport have a bit more margin in front of the player before hitting screen edge--it's really claustrophobic when you're pushing the view while walking, and I'd appreciate being able to look ahead on the map a little more. Edit: just replayed and it does seem sane on its viewport margin. But I distinctly remember feeling like I was walking off the side of the screen when trying it out originally--not sure what I'm recalling. Those changes plus being able to two-finger scroll the map would make it nearly perfect. Hey thanks for the feedback - the zoom setting is easy and the two-finger panning is a great suggestion. I've definitely worked on making the viewport useful by default since the original releases. The fading out of the top journal of messages really helps free up some space as well. Glad you like the game! Can you give us an update when the game no longer requires 9.1, as I am not yet updating to that iOS version and really wanna play this. Hey @Kedens and anyone who else is keen is more than welcome to email me hodgskin.callan@gmail.com and I'll sign up you up to the beta channel. 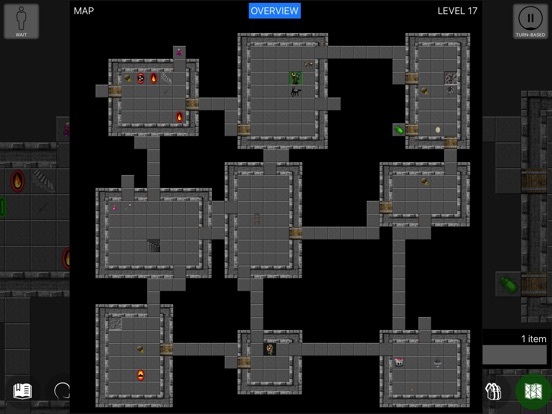 @callanh: This is fantastic implementation of NetHack. Thank you! 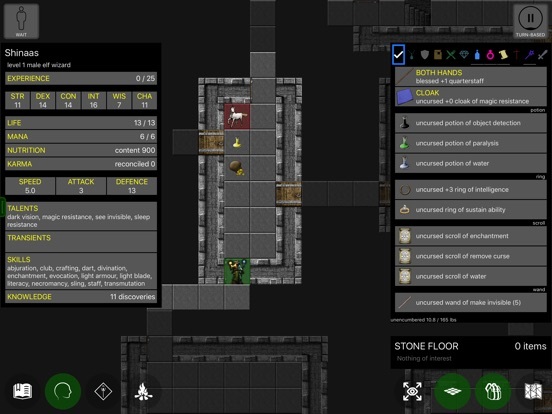 Would you consider allowing a player to enter a seed number to in order to replay the same dungeon or challenge friends to do better? 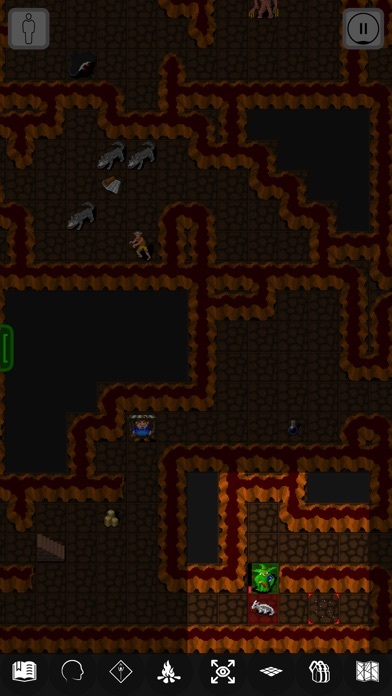 This is a killer feature of Brogue which I'd love to see incorporated into other roguelikes. @funambulist - thank you for playing! I've seen a similar sounding feature in Binding of Isaac and thought it was pretty neat. I would be happy to implement in Pathos. UPDATE - this 'seed' feature is now implemented in the beta channel. When will this go ios7? Just waiting. @Talbs, Pathos has just updated in iTunes and now supports iOS7.0+. But I don't think that's the end of the dramas. One of the beta testers has reported an issue with the layout in iOS 8.3. I have fixed this issue but it will be... another 7+ days before Apple release the next build. If you are as impatient with Apple as I am, please feel free to contact me hodgskin.callan@gmail.com - the beta channel works well at least! I have this for screen utilisation on an iPhone 6+ running iOS 8.1.2. Is that what was found for iOS 8.3? 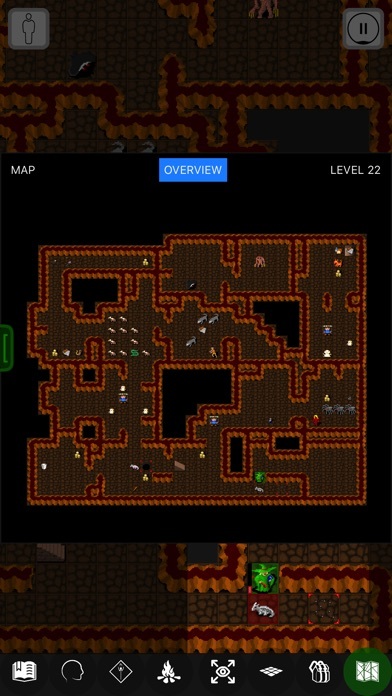 Really great job, first net hack implementation on iOS I have been into. The only thing so far is that I really wish resting was significantly faster. You shouldn't have to sit there for 15 seconds doing nothing. Fantastic! I'm really digging this version! This what I get on iOS 8.4.1, iPhone 6 non-jb. Apologies for the layout issue on iOS 8. It is a single line of code that works perfectly on iOS 9 but not in iOS 8. Probably because Apple fixed a layout API that wasn't correct. 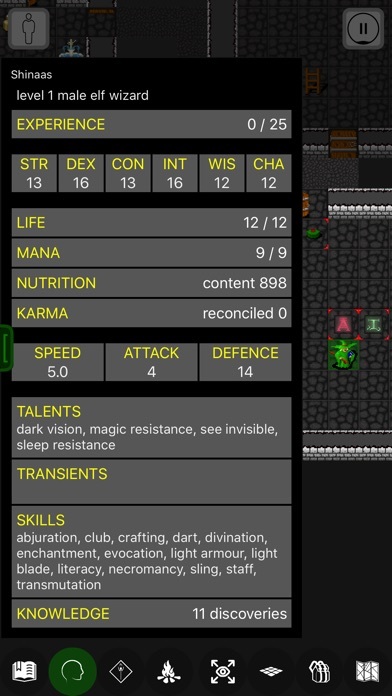 Anyway, Pathos has been fixed and the next update will be published in 7+ days time. This update will also include a starting companion (cat or dog) that will grow up with experience. You can feed neutral domestic animals to tame them as well. Which is available right now on the beta channel. Feel free to contact me if you would like to participate. I can understand why you would want to speed up resting. The recovery rate is actually doubled as compared to Nethack because resting is boring. But I hadn't considered speeding up time when resting. thanks! PS. what do you mean by a donate button?